Our lamb steaks are full of taste, especially during the Spring. At Campbells Prime Meat Ltd, we have a vast selection of high quality Scotch lamb steaks and lamb chops for you to choose from. The Campbells range includes Scotch Lamb Valentine Steaks, Leg Steaks, Lamb Chops and Lamb Barnsley chops. 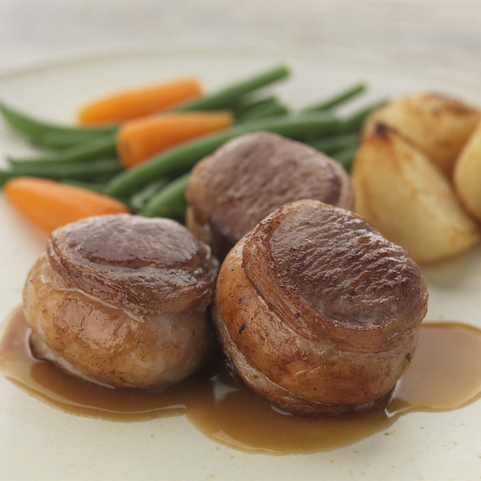 We also offer deliciously succulent lamb noisettes. The British have been eating lamb for centuries, and it’s not hard to see why. The beautifully tender meat is easy to cook which is what makes lamb a family favourite. Another reason why lamb steaks and chops are such popular cuts is because they are so versatile. There are many different ways to cook them. Why not try coating your lamb steaks with a Rosemary and thyme dressing and roasting them in the oven. Serve with a variety of roast vegetables for a mouth-watering traditional Sunday Roast. If you like hot, spicy food, then we suggest you try an authentic grilled Moroccan Lamb Chop recipe. This will give the meat a bit of a kick. We purchase our lamb from a company called Scotbeef Ltd, who are based in the Aberdeenshire town of Inverurie. The lambs are raised outdoors in the Scottish Highland and are reared on a diet of grass and heather. This gives the meat a unique, sweet flavour. Campbells Prime Meat are a traditional Scottish Butcher online. We pride ourselves on the delivery of the freshest produce. Each and every order we receive is prepared by hand by our expert butchers on the day of dispatch. So, you can rest assured that you’re getting the freshest lamb steaks and lamb chops available. Remember you can get free next day delivery on orders over £50. So, what are you waiting for? 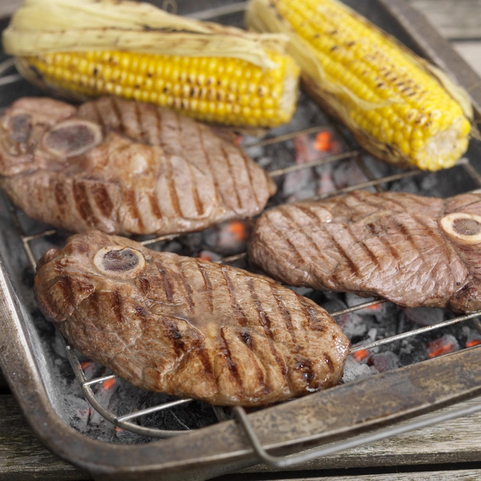 Buy your fresh lamb steaks online from Campbells Prime Meat today.